- In the "Editor Type" you should select : "WYSIWYG"
- In the "Content type" you should select: "HTML"
#2 – Insert the HTML email content on your left hand side and you will be able to see immediately the text email content on your right hand side. #3 – When you click on "Save" you will be taken to the template location. 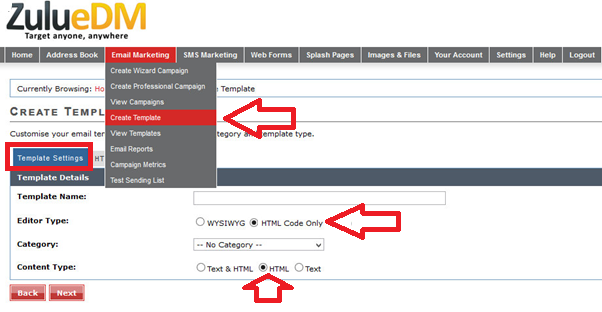 You should Identify the template and then select the option "Send Pro Campaign". 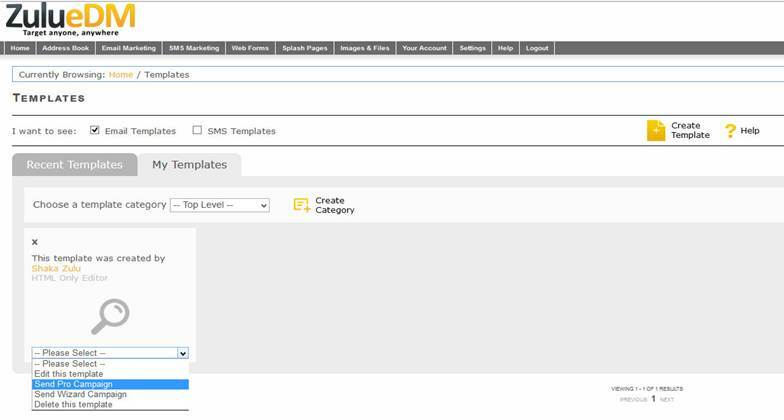 #4 –When you select the option above you will be taken to the 'campaign checkpoints' screen which lists all the steps you need to go through to create a campaign. when you click in the checkpoint "Content entered" you will be able to see both screens (HTM email content and TEXT email content) where you will be able to edit the campaign easily.